Earlier this Monday, a newly built Chinese supercomputer which is powered by Chinese technology semiconductors for the first time ever is listed as the world’s fastest supercomputer. The announcement was at the International Supercomputer Conference in Germany, Sunway TaihuLight. Now the US dominance in manufacturing supercomputers is threatened by the Chinese technology. 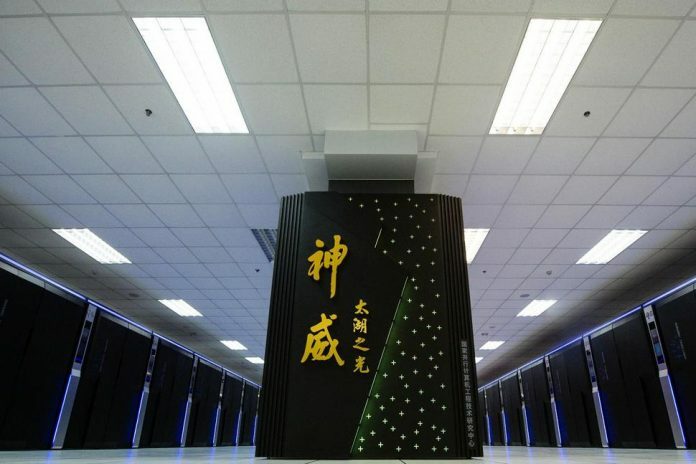 The supercomputer which is located at the National Supercomputing Center in Wuxi, Jaingsu province is more powerful than the previous winner, according to the TOP500. And this supercomputer is capable of a LINPACK score of 93 Pentaflops is three times more than Tianhe-2 which stands second. TOP500, the research organization that ranks the world’s most powerful computers twice a year said that the machine is powered by a SW26010 processor designed by Shanghai High Performance IC Design Center. And the Sunway TaihuLight can perform 93,000 trillion calculations per second. Well, this fastest Sunway TaihuLight will be useful for many engineering and research projects in such fields as climate studies, life science research and data analytics. The new chip which is capable of 3 teraflops is called ShenWei. According to TOP500 on Monday, China has more supercomputers in the list than the United States i.e., 167 for China vs. 165 for US. “As the first number one system of China that is completely based on homegrown processors, the Sunway TaihuLight system demonstrates the significant progress that China has made in the domain of designing and manufacturing large-scale computation system,” said Prof. Dr. Guangwen Yang, Director of the National Supercomputing Center. “Considering that just 10 years ago, China claimed a mere 28 systems on the list, with none ranked in the top 30, the nation has come further and faster than any other country in the history of supercomputing,” the TOP500 organizers said in a statement. The Chinese ShenWei chip is on par with the Intel’s leading Xeon Phi chips. An Intel spokesman at the event says no when asked to comment on the new rankings. According to few reports, creation of world’s first exascale computer which will be capable of performing 1quintillion calculations per second was authorized by US last year. Well, it will possibly take two more years for America to build a computer which is equal to Sunway TaihuLight.